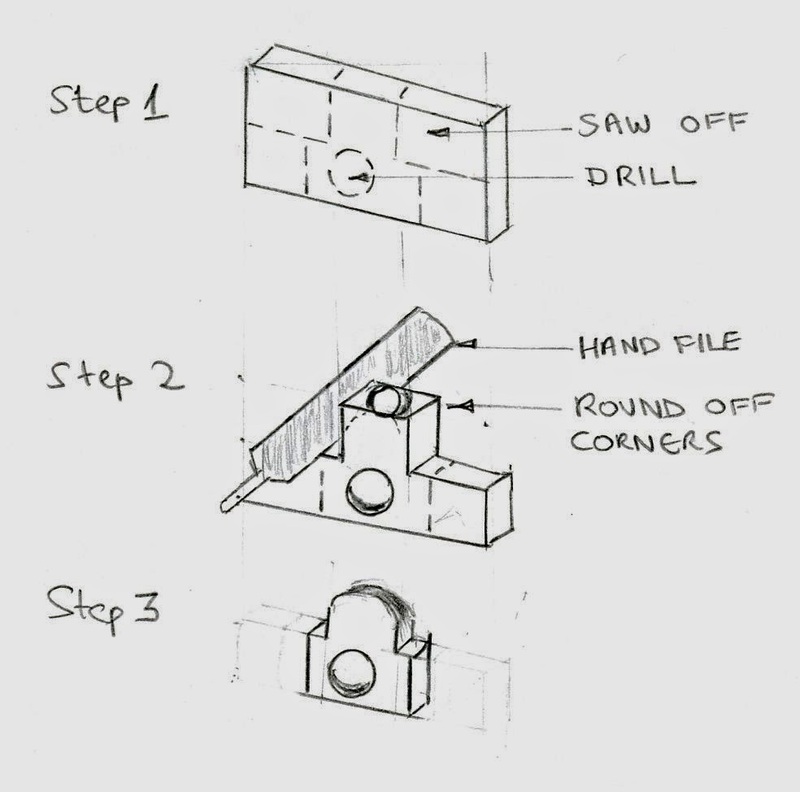 In our last post, we saw how a gunsmith from hundreds of years ago, could construct an indexing guide, a key part of a manual rifling machine. In today's post, we will study how they could make the indexing head, another key part of the machine. Like the indexing guide, the indexing head is also constructed as accurately as possible. Click on image to enlarge. Author places the image into the public domain. Some dimensions are not to scale. The gunsmith starts with a flat plank of wood of suitable size. The gunsmith then bores a large hole B in the plank, to a diameter slightly larger than the indexing guide that we studied in the previous post. In the previous post, we had decided that the indexing guide had a diameter of 4 inches at its thickest part. Therefore, the diameter of the hole B is drilled to about 4.25 inches, so that the indexing guide can fit through this hole with a bit of clearance. After that, the gunsmith chisels a hole at one edge of the hole B, so that he can screw in a small indexing pin A. The indexing pin A can be made of steel, brass or any hard wood such as oak, maple etc. The material is simply cut from a blank using a hacksaw blade and then filed into shape, and a hole is drilled in the middle to support a screw. The indexing pin is made long enough to fit in the groove that was cut in the indexing guide we saw in the previous post. Building the indexing pin. Drawing is not to scale. Click on image to enlarge. The indexing pin is inlaid into the indexing head, so that it cannot move at all. The gunsmith also drills three or four holes C, at the bottom of the indexing head, so that the indexing head can be attached to the rifling machine bed via screws through these holes. Drawing is not to scale. Click on image to enlarge. The indexing head is fixed to the bed of the rifling machine and the indexing guide is pushed through it. The indexing pin fits into the groove of the indexing guide and causes the guide to rotate at a fixed rate, as it is being pushed or pulled through the head. Of course, the curious reader might ask, how does a person drill such a large hole like B into a plank of wood. Luckily for us, the tools to do this were already invented and perfected several hundreds of years ago. Remember that mankind has been using the wheel for thousands of years and the wheel is attached to the axle with a relatively large hole. The first solid wheels and axles began to appear in Mesopotamia, Central Europe, Balkans and Northern Caucasus around 3500 BC. By about 3000 BC, the Indus valley civilization in Northern India shows evidence of having spoked wheels. By 1200 BC, chariots with spoke wheels were known to just about everyone in Europe and Asia and parts of Africa as well. Therefore, the technology for boring large holes into objects (e.g. for attaching an axle to a wheel and attaching spokes to wheels) was pretty well developed by this point in time. 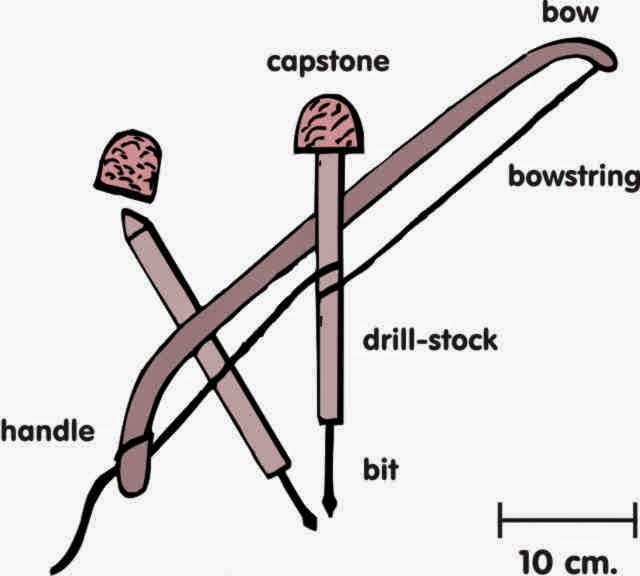 Tools such as the bow-drill and gimlets could be used to drill smaller holes and then the holes could be enlarged by using augers and reamers. 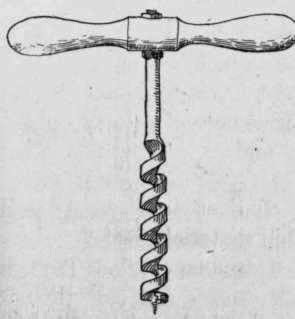 An Auger. Click on image to enlarge. 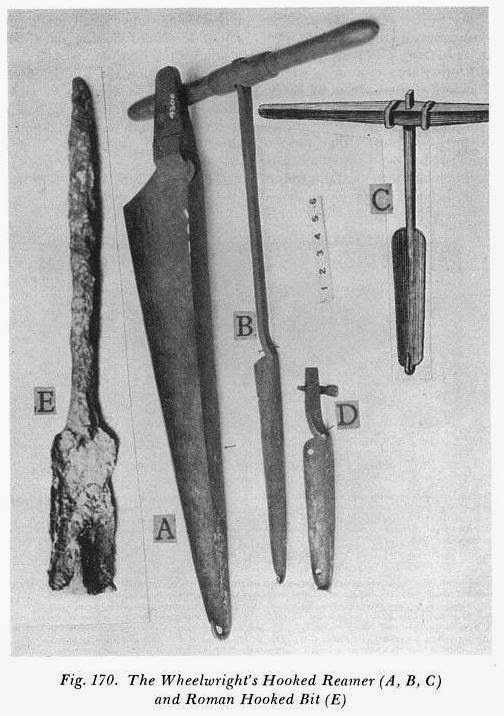 While the images above show the tools used by a wheelwright to bore a hole into a wheel for an axle, the same tools and techniques were also used by ship builders, architects, carpenters etc. Therefore, it is a pretty safe bet to say that a gunsmith in 1500 AD had the tools and knowledge to easily bore a large hole into an indexing head. The parts in this post and the previous one need to be built as accurately as possible, to produce good rifling. 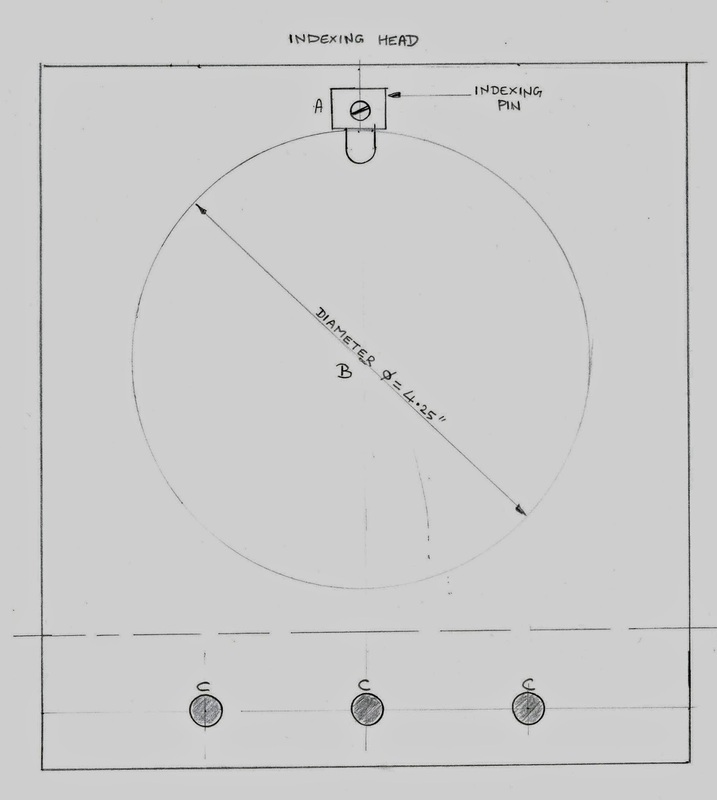 In the next few posts, we will study some of the other parts needed to build the manual rifling machine.